For Professor Timothy Salzman, “music is a universal language”. As director of the UW Wind Ensemble, he delights in helping students perfect their playing. But even more so, in using music as a pathway for connecting students with new people and experiences. 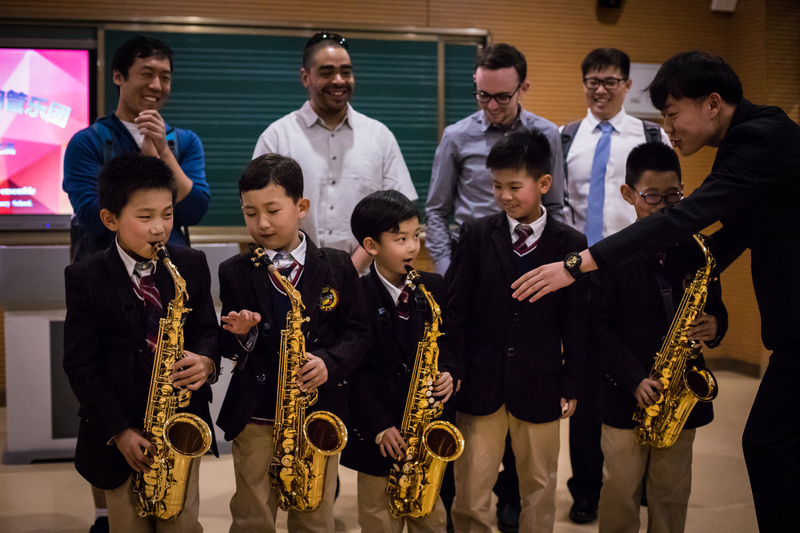 Over spring break, he brought the entire 56-member UW Wind Ensemble on an unforgettable trip to China. Their packed itinerary included opportunities for hands-on learning at every turn. Moving on to the cities of Xi’an and Beijing, UW students conducted several intensive music classes for local music students, “from little kids through college age”, and played several more concerts for audiences verging on 2000 people. 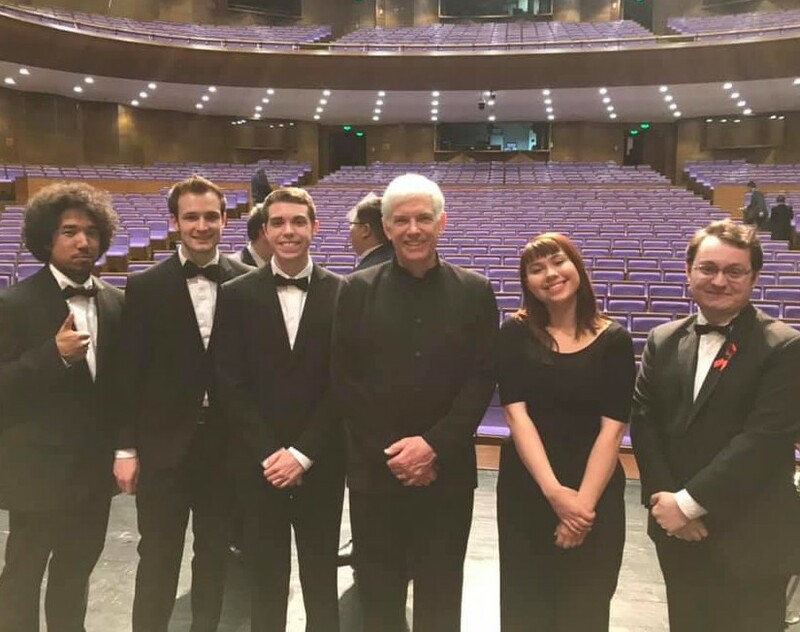 Performing at Tsinghua University’s spectacular concert hall was a particular highlight. The Confucius Institute of the State of Washington (CIWA) made this trip possible by fostering relationships between the UW and Chinese partners. Serving our entire state, CIWA promotes Chinese language and culture learning across Washington, and strengthens educational and cultural exchange and collaboration between China and our state.